(Newser) – Salvatore "Sammy the Bull" Gravano, a notorious Mafia hit man who ended up ratting out his fellow mobsters in exchange for a plea deal, is done with his second stint in prison years early. 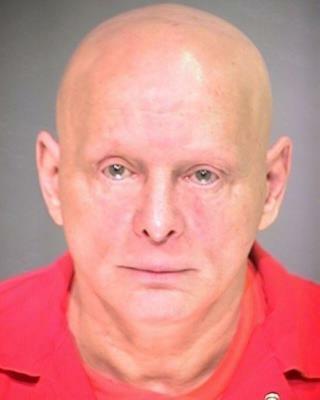 Per court records, Gravano, 72, was released in Arizona Sept. 18, the New York Post reports. He'll be on federal parole the rest of his life. Gravano was an underboss and consigliere with the Gambino crime family when he turned rat in 1991—at the time, the highest-ranking mafia member to become a turncoat—helping authorities nab John Gotti and 38 other mobsters. In exchange, he was sentenced to his first stay in prison, just five years for 19 murders. Yet more crappy headline writing by the Newser Loser Editors. "Ex Mob Boss Gets Out of Prison Years Early" First of all, he was never a "Boss". Gotti was the Boss. Sammy the Bull was a hitman and John Gotti's bodyguard. Secondly, he served 17 1/2 years of a 20 year sentence and prisoners almost never serve their full sentences if they behave themselves and get time off for good behavior, whereas the headline implies that he was given some huge break. That said, for anyone who has Netflix and is interested, "Inside The American Mob", Episode 5, "The Rise and Fall of Gotti" goes into detail about how the FBI finally nailed Gotti and why Sammy Gravano flipped on him. The running time is 44 minutes. Lots of interesting stories from former mob guys and FBI agents.